When it was first published in 1980, the Diagnostic and Statistical Manual of Mental Disorders, Third Edition—univer-sally known as DSM-III—embodied a radical new method for identifying psychiatric illness. 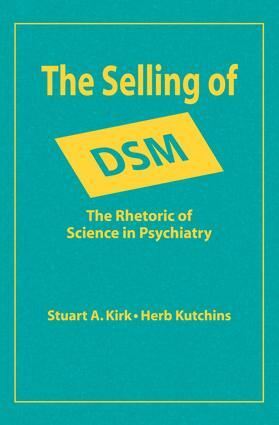 Kirk and Kutchins challenge the general understanding about the research data and the pro-cess that led to the peer acceptance of DSM-III. Their original and controversial reconstruction of that moment concen-trates on how a small group of researchers interpreted their findings about a specific problem—psychiatric reliability—to promote their beliefs about mental illness and to challenge the then-dominant Freudian paradigm.